As they led Jesus away a man named Simon who was from Cyrene, happened to be coming from the countryside. The soldiers seized him and put the cross on him, and made him carry it behind Jesus. 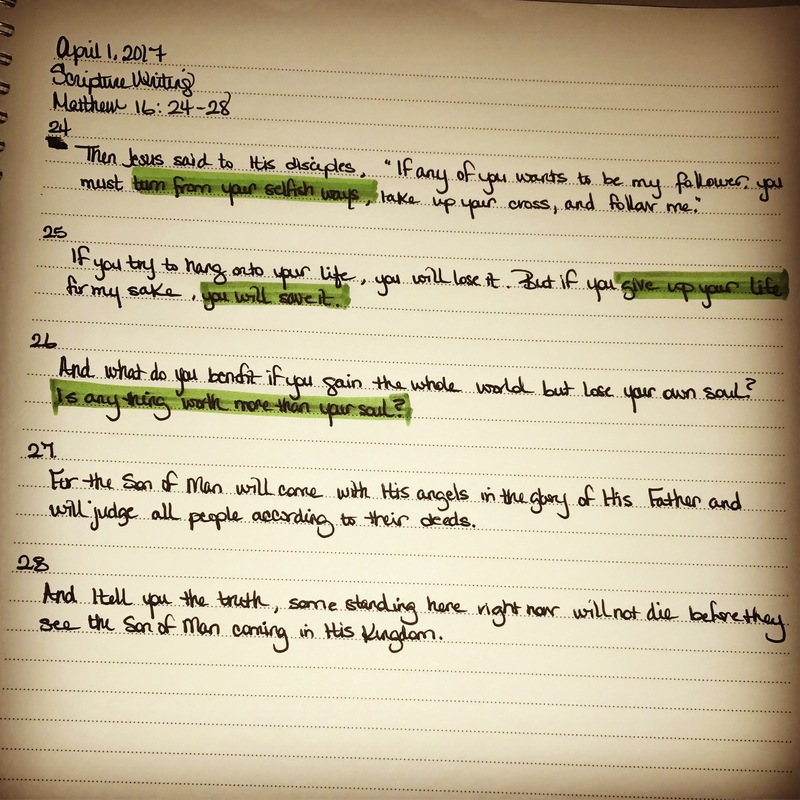 Several months ago a friend introduced me to a daily Scripture Writing Challenge. I had no idea how enriching and edifying the practice of Scripture writing would be. I did not realize how much writing the verses would strengthen, not only my engagement with the words, but it would also ignite a deeper understanding of the words that I wrote. It became an evening habit that was the best “night cap” to my day! No matter how great or challenging my day was, when I wrote the verses, my spirit was lifted, and my hope awakened! This month, I will be sharing my Scripture Writing and insights here with you.